In the last decades, Salou has become the tourist capital of the Costa Dorada for its own merits. The more than 5 million tourists who visit it every year can testify that. Playa de Levante and its beautiful promenade are its most representative spots, as well as the place that gets the most visitors in summer. The promenade is full of large palm trees, gardens and numerous fountains. In addition to the sun and beaches, Salou offers endless activities for the whole family, as this city is the epicenter of leisure and entertainment. Feel the adrenaline in the great roller coasters of PortAventura, spend a refreshing day at the water park of Costa Caribe or enjoy the new park Ferrari Land. In addition, you can also enjoy cultural visits, gastronomic routes or walk along the Camino de Ronda. It is impossible to be bored In Salou, and if you are eager to go, enter our website and rent your holiday accommodation. Paseo Marítimo Jaime I: the charming promenade of Salou has become, in recent years, the true symbol of the municipality. It is surely the place where most of your daily activity will be centered, walking along the wide promenade flanked by large palm trees, countless restaurants, fashion stores, terraces and ice cream parlors. Do not miss paying a visit to the monument to Jaime I or the light fountains and their shows of light and sound. One of the major attractions of Salou are undoubtedly the 9 wonderful beaches that stretch along its more than 6 km of coastline. 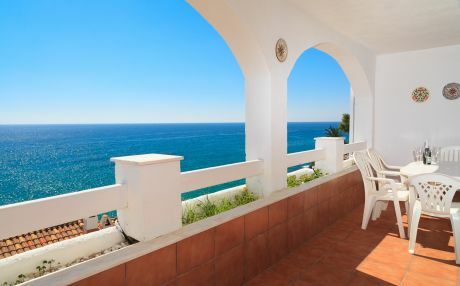 A variety of beaches for all tastes where you find from large sandy beaches such, as Levante or Poniente beach in the center, or beautiful coves with crystal clear waters such as Peña Tallada or Cala Crancs. Which one do you choose? Playa de Levante: This beach is the urban and most important beach of Salou. Along its 1,200 m extends this great sandbank from the nautical port to the light fountain. 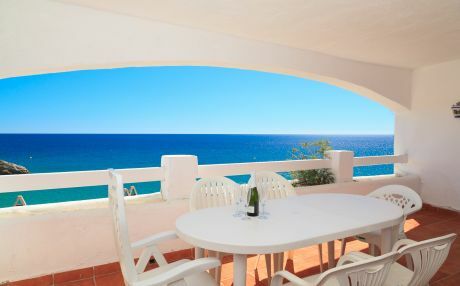 This extensive beach has beach bars every few meters, as well as rental service of sun loungers and parasols, showers, playgrounds and is water sport friendly. It is impossible to get bored on this beach! Torre Vella de Salou: this tower was built in the 16th century by Archbishop Pere Cardona for military purposes. At that time, the waters of the Mediterranean were dominated by pirates and corsairs who besieged and looted coastal towns. For that reason, it was built this defensive tower across the coast. Costa Caribe: this is the water park of PortAventura located in the heart of Salou next to the theme park. A fantastic water park set in the Caribbean villages featuring large slides, wave pools, children's areas and restaurants. The city has a large number of tourist accommodation in the center. Big hotels, guesthouses and hostels extend along the Jaime I Avenue. 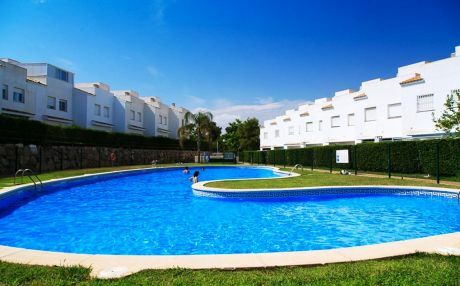 But if you want maximum comfort, feel at home and also find affordable accommodation for your whole family, then it is best to rent a villa or house In Salou. In our platform, you only have to perform a search and filter by dates and features to find the perfect accommodation.